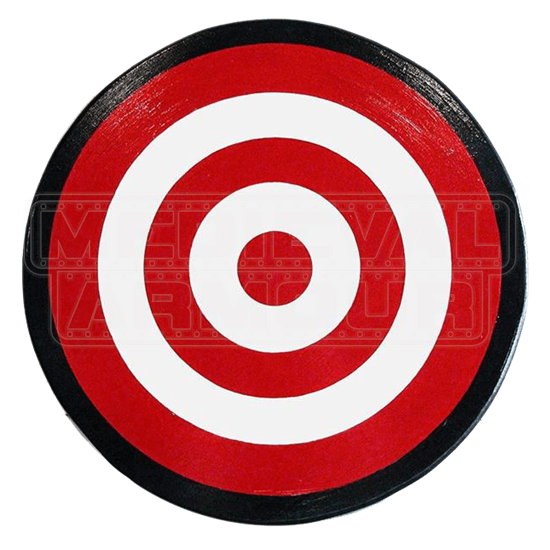 This wooden shield features a classic red and white bulls eye pattern, making it perfect for any archer or aspiring bowman. The Archers Bulls Eye Shield is made from smooth composite wood, which is considerably stronger than plywood. Dual leather straps are used to secure the arm along the back. The front of the shield has also been applied with several coats of topcoat varnish to protect it from wear. 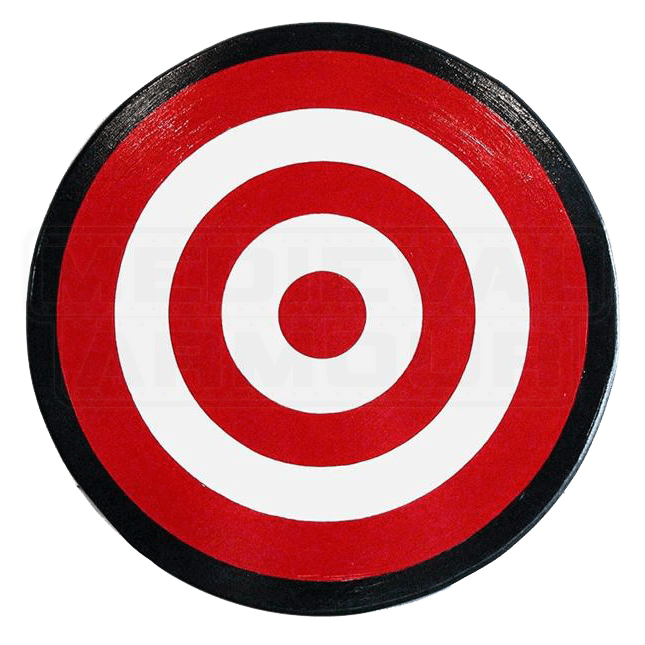 The Wooden Archers Bulls Eye Shield measures about 25 inches in diameter more than enough to cover your arm way past the elbow. Whether for the wall or the battlefield, this shield is well balanced and ready to serve. This would be perfect for that upcoming Renaissance festival in your area or some backyard brawling between friends. The Wooden Archers Bulls Eye Shield would be perfect for upcoming Renaissance fairs, theatrical productions, or medieval reenactments.